Gender-bending sailors, NYC bikers and chameleon man strode the catwalks at the opening of Paris Men’s Fashion Week. 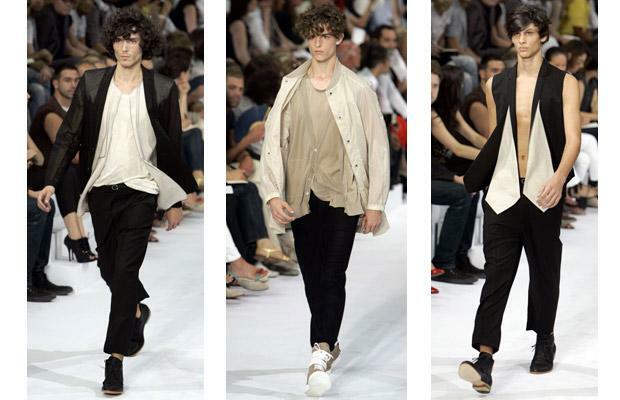 The event saw strong spring-summer 2010 collections by Belgium’s critical darling Dries Van Noten, French luxury label Louis Vuitton and the country’s one-time enfant terrible, Jean Paul Gaultier. The Vanmildert fashionists, famous for G Star Jeans, were out in full force showcasing their fantastic range of Lyle and Scott Polo Shirts, Vivienne Westwood Jewellery and Barbour Jackets. Van Mildert often win awards for Men’s designer clothing so it was no surprise to us seeing them at this year’s fashion show. 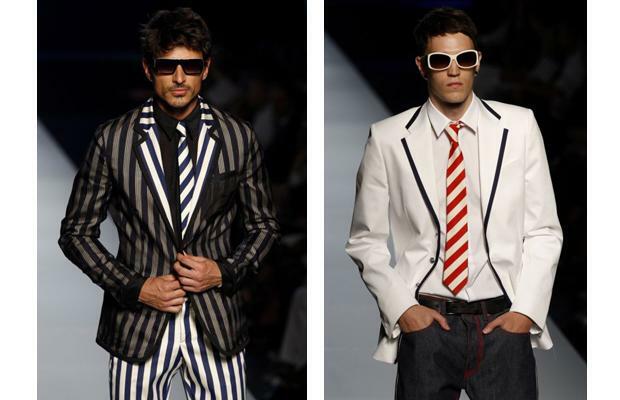 The conventional two-piece business suit was almost nowhere to be seen at the 50-odd spring-summer 2010 catwalk presentations held in the capital of fashion, which began with Yves Saint Laurent and closed with Smalto. Its emblematic accessory, the tie, likewise slipped off stage, popping up expectedly at longtime luxury tie-makers Hermes and Lanvin, but little shown elsewhere as designers instead opted for scarves, hats or glasses to liven up collections. 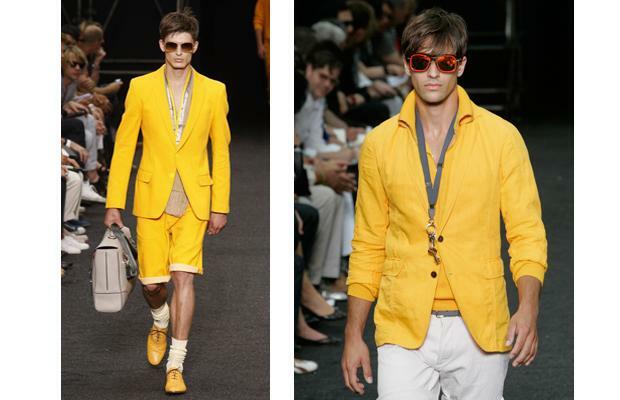 With the luxury industry worried over the economic crisis, top designers mixed and matched jackets and pants with a plethora of waistcoats and even T-shirts, putting the accent on wearability and durability.